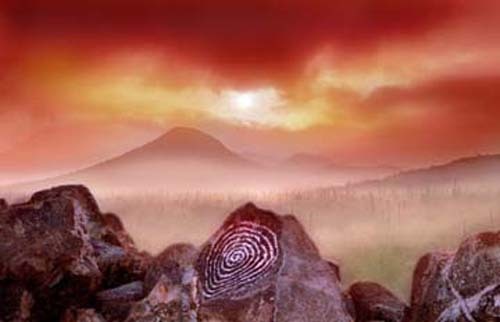 I discovered that when an observer stands in the center of a ceremonial circle in front of the rock with the spiral, the winter solstice sun rises directly over the petroglyph. This Hohokam rock art is about 1000 years old. More information about this site can be found in my section on archaeoastronomy.